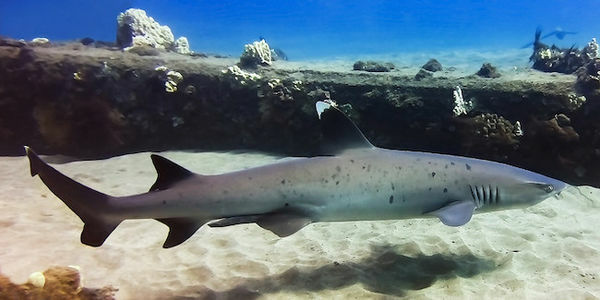 The global shark and ray population is in serious trouble, but, thankfully, legislators in Hawaii are currently considering doing more to protect these creatures in state waters. Currently there's a bill that would make it a misdemeanor (with up to a $10,000 fine) for killing, capturing or abusing sharks and rays. Sharks and rays need full protection under the law, for their benefit and for the health of our oceans. Rep. Nicole Lowen, who chairs the House Environmental Protection and Energy Committee said, "As apex predators, sharks and rays help to keep the ocean ecosystem in balance, and protecting them from unnecessary harm is essential to the health of our coral reefs." Beyond being good for the ocean's ecosystem, there is also just no excuse for people killing these animals. We don't need to do it and we shouldn't put up with needless animal killing. Similar legislation has cleared the state Senate before, but now it's up to the state House to keep House Bill 808 alive. State Rep. Chris Lee, head of the House Judiciary Committee must give the legislation a hearing by the end of the week in order to keep the ocean ecosystem thriving. That's why he and other Hawaiian legislators need to hear from us now!